IS THIS ANZA SEAT FOR YOU ? 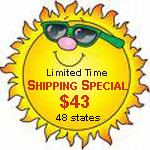 One of the Most Popular Van Seats Available. A Sport Style in Body Hold Design. The Anza RV seats were created in the same class as the Sedona RV Furniture Captains Chairs with a more sporty flare. Like its counterpart in the RV furniture line, the foam design and complex stitching design place it among the elite few RV seats considered to be the RV Captains all others are compared to. 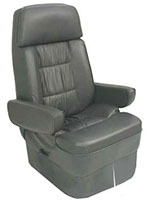 These RV seats are truly a Luxurious RV Captains Chair. The Anza RV Seats are available in Ultimate Leather, which is as soft as calfskin, yet cleans easily with mild soap and water. All RV furniture is also available in cloth.